In the state of California, motorcycle accident fatalities have increased 175 percent over the last 10 years. Despite the numerous safety programs put into place, it is difficult for motorcyclists to avoid collisions that result in serious injuries or death. It is important to identify why bikers are more likely to be killed in auto accidents than other motorists. There are millions of drivers and riders on the road that never become involved in accidents. However, life is unpredictable. Even properly trained motorcyclists are at higher risks for experiencing injuries than car drivers. Motorcycles have no seat belts or forms of restraint. This means riders can easily be thrown during accidents. Also, motorcycles weigh much less than automobiles, so they are more vulnerable when roads are damaged or filled with debris. Potholes and slick roads are ripe conditions for motorcycle accidents. Since most bikes are small in design, they are difficult for other vehicles to detect, especially when bikers are in the blind spots of other drivers. Finally, more skill is required to steer and control a motorcycle than a regular car. Thanks to the risks and the high number of riders who are ignoring safety recommendations, motorcycle accident deaths continue to rise. Approximately 80 percent of motorcycle crashes result in death or serious injuries. Besides multiple vehicle accidents, 43 percent of single-motorcycle accidents lead to death. The most common causes of these fatalities are speeding, intoxication, and driving without a helmet. To lower the risks of getting into an accident, California now offers a Motorcyclist Safety Program. Some tips this program teaches include having proper lighting on a motorcycle and wearing reflective gear when riding at night. Helmets are encouraged as well. Wearing proper gear, especially a jacket and boots, protects the body from road burn or worse. To avoid becoming a fatality, a motorcyclist should always look twice before changing lanes, passing a vehicle, or backing out to make sure blind spots are completely clear. 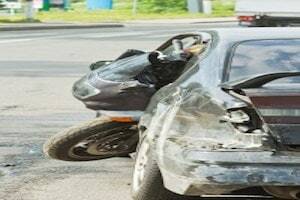 When two cars are involved, rear-end accidents are not usually serious. However, motorcycle rear-end crashes can be deadly. Sudden stops cause bikes to spin and lose control. These types of stops are often deadly as they throw drivers onto the road. To prevent these incidents, it is important to allow adequate space between motorcycles and other vehicles. It is not uncommon for single bike accidents to be fatal as well. Smaller motorcycles are more likely to slide or topple, especially with inexperienced drivers or adverse weather conditions. This is why it is essential to wear a helmet and obey the speed limit.